Aubrey and I recently wrapped up a lengthy journey across India, visiting tea gardens and a decaffeination facility, as well as exploring the amazing country, and visiting with old friends. It was a wonderful trip, filled with lots of fun, learning at every turn, and a few surprises along the way. Aubrey and I broke the trip into three "chunks": (1) Jeremy in Darjeeling (solo), (2) time with family and friends in Mumbai, and (3) Aubrey in southern India (solo). Doing so allowed us to conduct a little tea business without the kiddos, but also have time together as a family visiting with dear friends in the incredible city of Mumbai. We picked a very interesting time to go - India was in the midst of a heatwave (even by Indian standards! ), on the verge of the monsoon, and marking the first anniversary of Prime Minister Modi's election (which was all anyone seemed inclined to talk about). 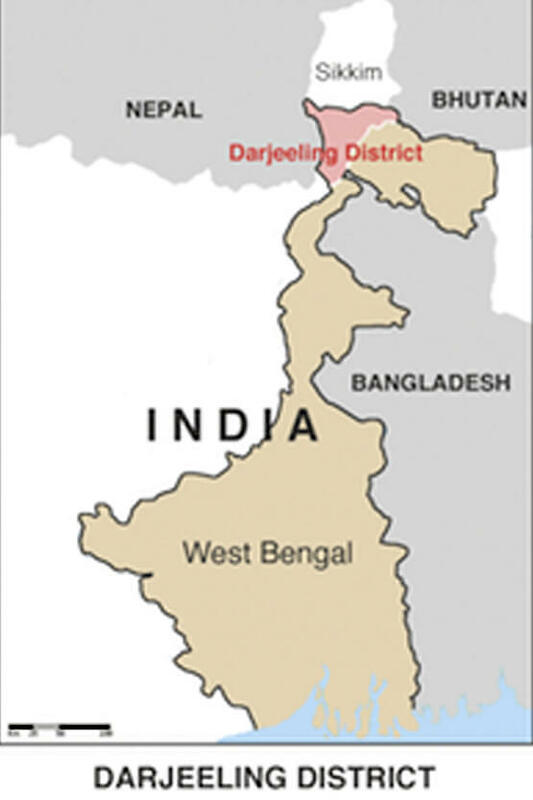 For those of you who aren't familiar with Indian geography, Darjeeling is located in the northern reaches of India's state of West Bengal, at the foothills of the Himalayan Mountains. The region is surrounded by neighboring Nepal, Bhutan, and Bangladesh. At times, it was easy to forget that I was still in India as the predominant language is Nepali, and the folks in Darjeeling look more Nepali, Tibetan, or even Chinese, compared to those I encountered elsewhere in India. 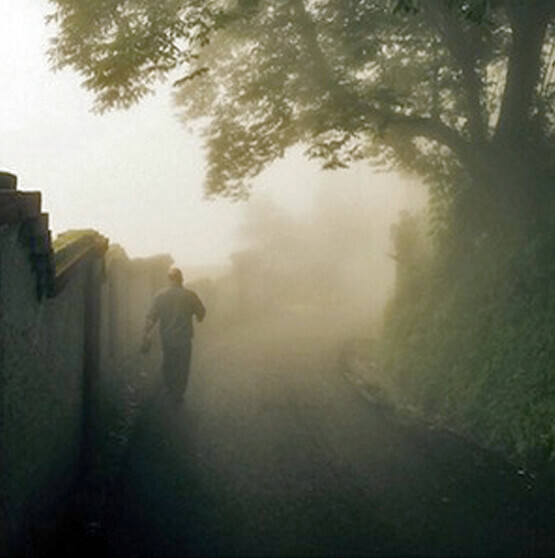 After searing 110 degree heat in Delhi, Darjeeling welcomed me with mid-70 degree temperatures and almost 100% humidity. Across the mountainous valleys of the Makaibari Estate the air could barely contain all the moisture. One moment might be clear, then five minutes later the whole area would be so socked in with fog that I could barely see 20 feet in front of me. This was the sort of place that great tea comes from! I arrived smack dab in the middle of the second flush, and everywhere I turned the tea bushes were bursting with new, bright yellow-green growth. Every bush was ready to be plucked, and plucked they were! I was fortunate to roam the fields and witness the deft plucking of Makaibari's fourth-generation of tea pickers. I followed the newly-harvested tea right into the factory, where it was weighed, and laid out for withering and subsequent processing (more on that in a later post!). Because it was the height of the second flush, all of the tea that was picked while I was there was processed into black tea. But other teas (like Makaibari's wonderful green tea) were also on the docket. I was sad to miss the full-moon plucking of Makaibari's famous Silver Tips Imperial, but Aubrey and the kids awaited my arrival in Mumbai, so I had to be on my way. However, before I left I was delighted to taste this year's second flush mere hours after manufacture (it doesn't get much fresher than that!). 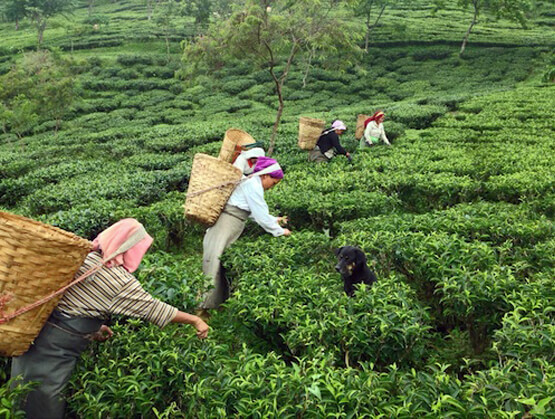 In spite of general concerns about water and rainfall across India (including a late and milder-than-usual monsoon), this year's first flush and second flush harvests in Darjeeling were much better than last year, which were plagued with drought. The 2015 teas are brighter and pack a bit more of the characteristic Darjeeling "punch" compared to the 2014 teas. I could sense the collective relief everyone felt at the improved harvest. It'll still be a few weeks before the second flush finishes it's ocean voyage to our door, but our Ann Arbor warehouse has already welcomed the arrival of Makaibari's wonderful first flush. I encourage you to try the 2015 first flush Darjeeling black tea from the Makaibari organic tea estate - it's a real treat! Also, stay tuned for more from our Indian journey, including notes from a decaffeination plant, some tea estates in the Nilgiris and Anamalais, and videos, too!